Since the first hazelnut tree was planted in Oregon in 1858, hazelnuts have become a staple in the state’s economy. More than 20,000 acres of land have been allocated to over 180 hazelnut growers in Oregon, who are responsible for producing 99 percent of the crop in the United States. According to Oregon Hazelnuts, the total economic impact from the past five years of harvesting hazelnuts is around $250 million, and this year’s crop is supposed to reach record numbers from around 50,000 to 60,000 tons. 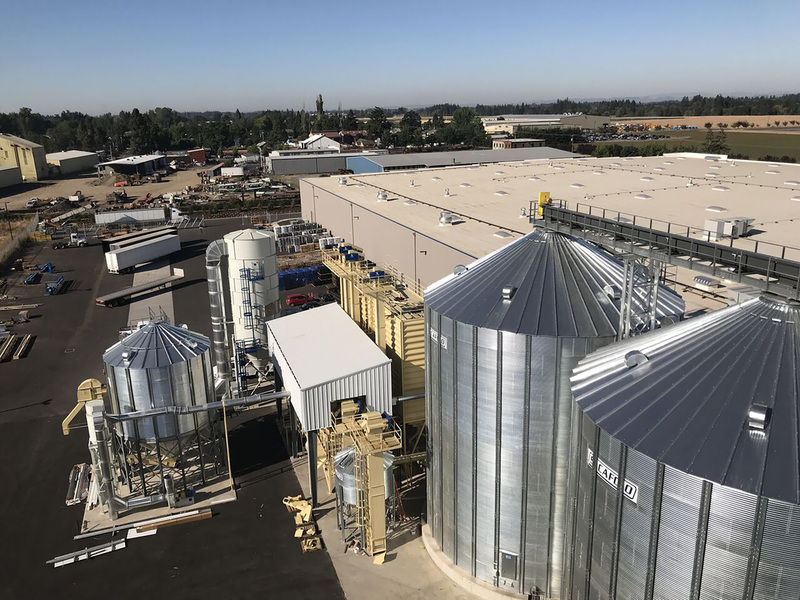 To keep up with the increasing output, Wilco Farmers Cooperative and Hazelnut Growers of Oregon (HGO) worked with VLMK Engineering + Design to build a new state-of-the-art hazelnut processing facility in Donald, Oregon. 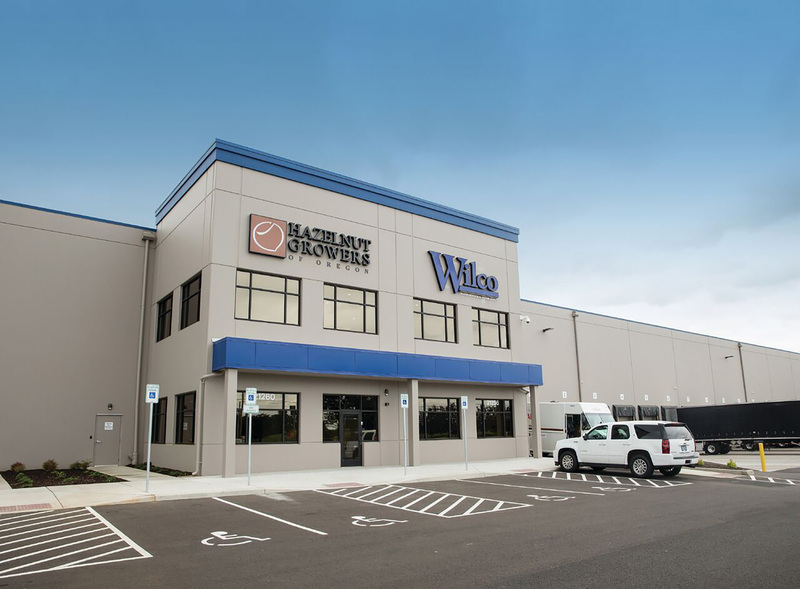 The 240,000+ square foot concrete tilt-up building, half of which is home to the Wilco distribution center, boasts a clear height of 30 feet and includes 6,000 square feet of Class A office space. 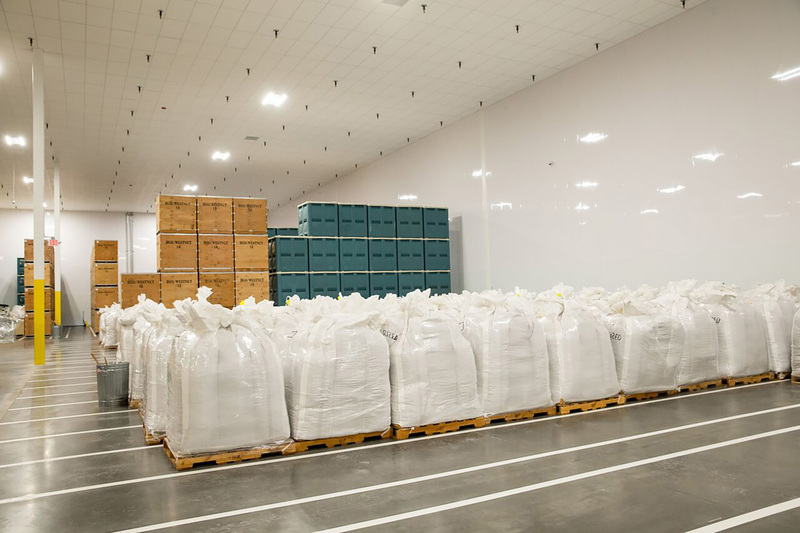 The HGO side of the building was designed to exceed the standards the FDA Food Safety Modernization Act established in 2011, and is working to meet future guidelines by following the high standards recently adopted in other countries. 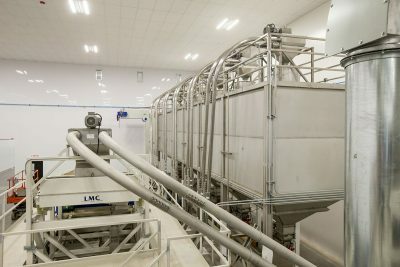 The facility can steam pasteurize more than 10,000 pounds of hazelnuts per hour, which removes 99.9% of the bacteria in unprocessed hazelnuts. Working with Sutherland Development out of Seattle, HGO and Wilco Farmers Cooperative enlisted VLMK Engineering + Design and found Donald, Oregon to be a prime location for the industrial site due to the close proximity to the Willamette Valley, where most of the hazelnut growers are located. 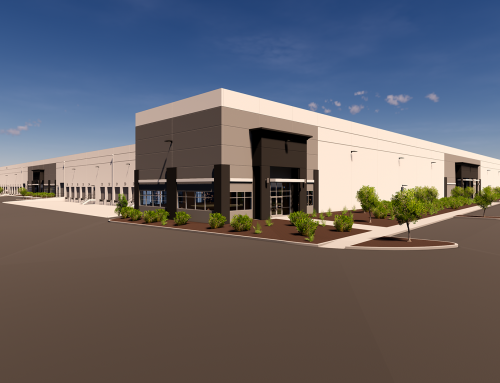 With the recent boom in hazelnut farms across the valley, HGO outgrew their processing facility in Cornelius, OR and needed a building large enough to accommodate future growth. 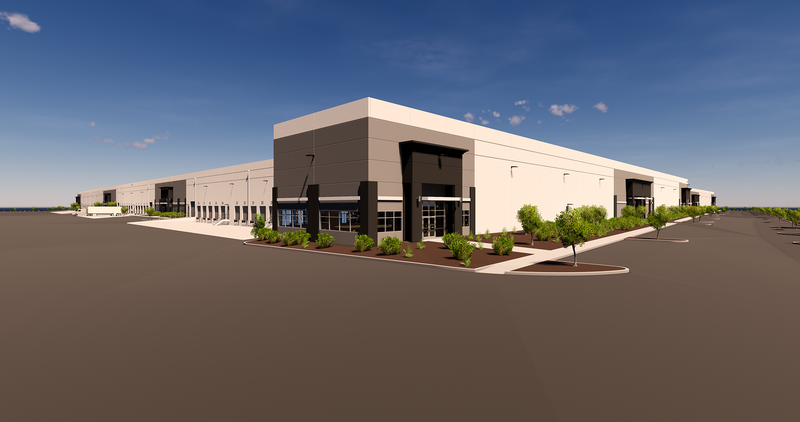 This new facility includes approximately 70,000 square feet of conditioned warehouse space to house both raw and processed, ready-to-eat nut storage. 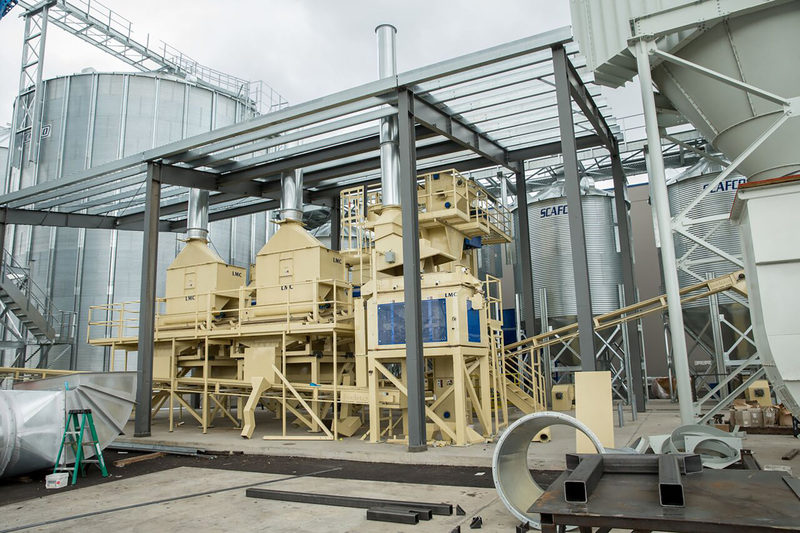 The processing facility is expecting an influx of hazelnuts to arrive in early October. 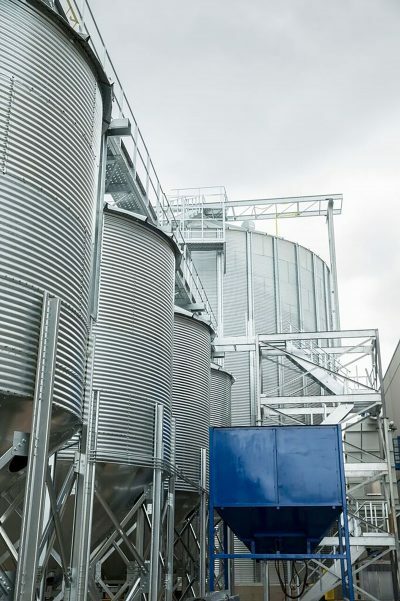 With the ability to receive 160,000 pounds of hazelnuts per hour, the facility has the capacity to hold over 10 million pounds of hazelnuts in four massive silos. 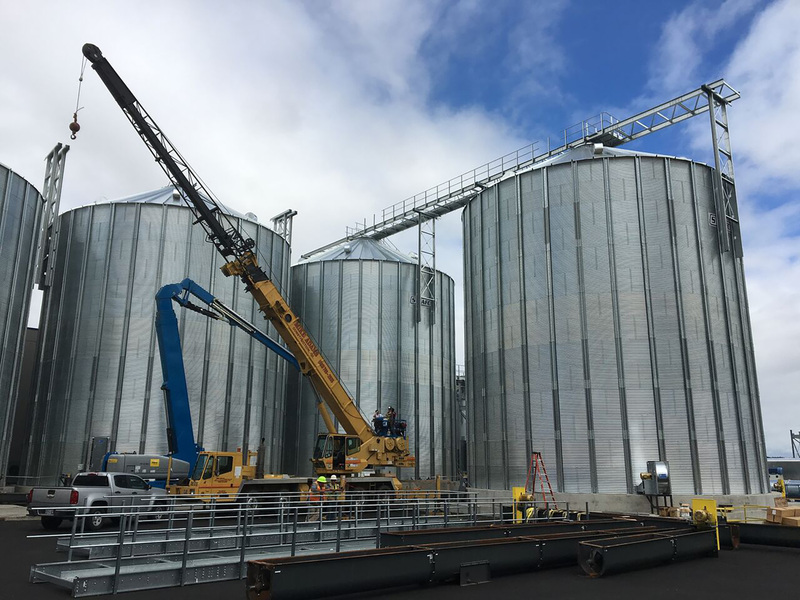 The silo yard includes covered canopies and numerous pieces of processing equipment, all of which required large concrete foundations and seismic anchorage design provided by VLMK. Large pits in the drive aisle receive the nuts which then travel through a network of elevators and conveyors distributing the nuts to and from the storage silos and quality control bins throughout the facility. After the hazelnuts have come out of storage and gone through processing, portions are cracked open and the hazelnuts are sorted through several stages including sizing and quality control. 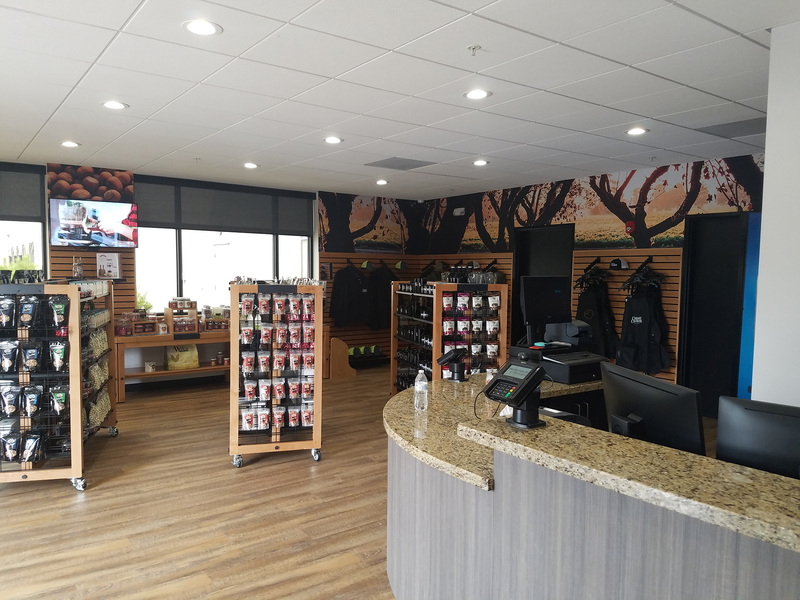 The sorted nuts are sent through the steam pasteurization process to the staging and processing areas where the nuts are turned into some of America’s favorite hazelnut products. Nuts are directed to separate processing areas for slicing, dicing, candy coating, roasting, and paste and butter and are then packaged and sent to the ready-to-eat warehouse which is kept at 55 degrees to preserve freshness. The nut processing areas total more than 120,000 square feet inside the building and another 75,000 square feet outside the building. The nuts that are not cracked open are kept in the shell, packaged and sent to be stored in the raw hazelnut storage warehouse. Here they will be held until they are shipped to China to arrive in time for the Chinese New Year in early 2019 where consumption is at its highest.